I really love matcha. And you know what the funny thing is? I’ve only ever eaten it a small number of times, and in very small amounts. 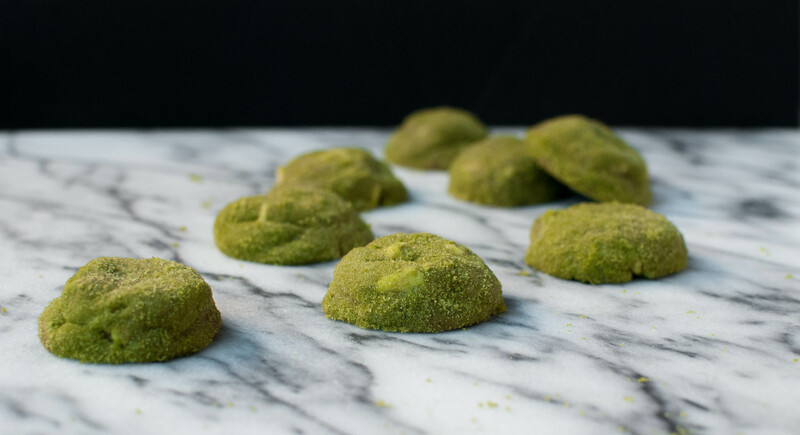 But I saw the recipe for these cookies on Food52 a few months back and for some odd reason it made me really want to love matcha. 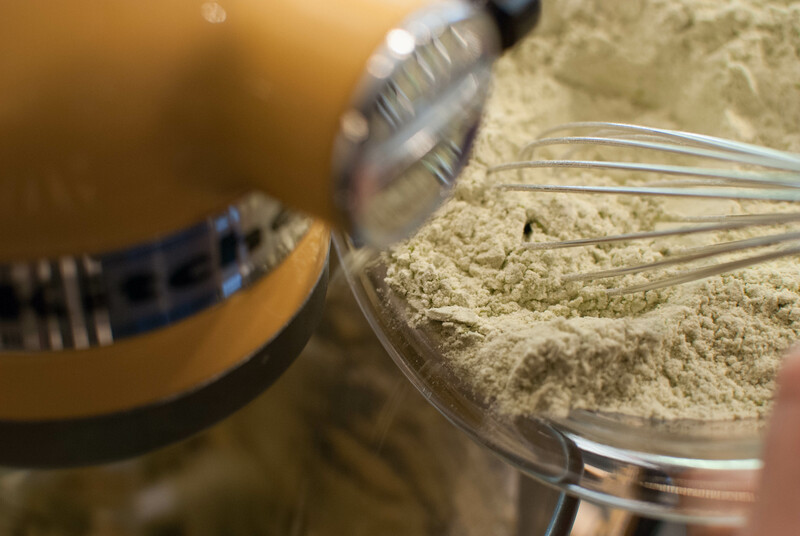 I don’t know if it was the pillowy little sugar-coated green treats that appeared in the photo above the recipe, or a faint memory in the back of my mind of the distinct taste that is the trademark of this green tea powder. But whatever the cause, I decided that I just had to make these cookies sometime in the future, the sooner the better. So I did! And they were wonderful! That batch of cookies was everything I had hoped it would be and more. Soft without being cakey, with that signature matcha flavor I’d been craving as well as chunks of white chocolate and a sugary outside to boot. 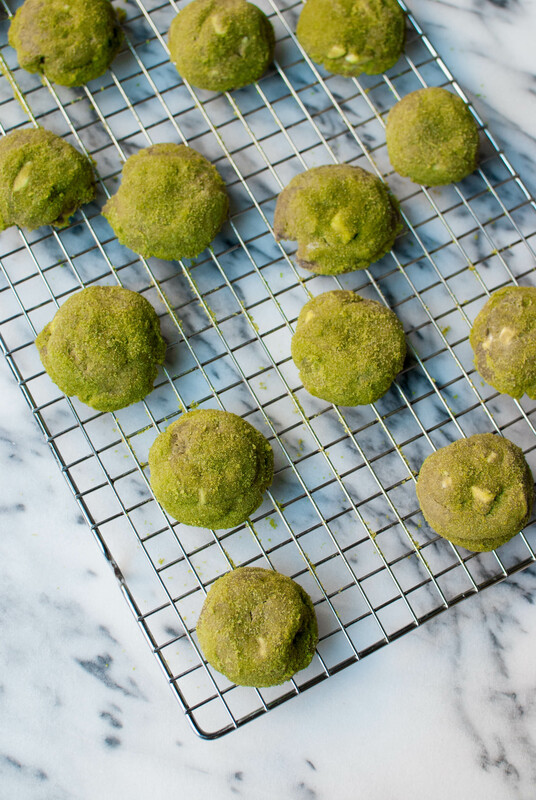 So whether you’re a long-time matcha fan, a matcha newbie or a wannabe matcha lover like me, try these cookies out for yourself. Heck, they’re even perfect for Halloween, what with their quirky color! And matcha! I know, I know. It doesn’t look very green now, but just you wait! Set the dry mixture aside for a minute and take out some butter. Cream it with a bit of brown sugar and honey. I actually cut this recipe in half, so my quantities may look a bit off. Add in a egg and a yolk. along with a bit of lemon zest. And no, this will not turn these into lemon cookies. Think of it as a secret ingredient! Now the flour mixture goes in. Things are about to get real green real fast, people. Ta da! Now what did I tell you? Go ahead and throw in some small chunks of white chocolate for a finishing touch. Wrap up the dough in plastic wrap and let it sit in the fridge for a good 2 hours. 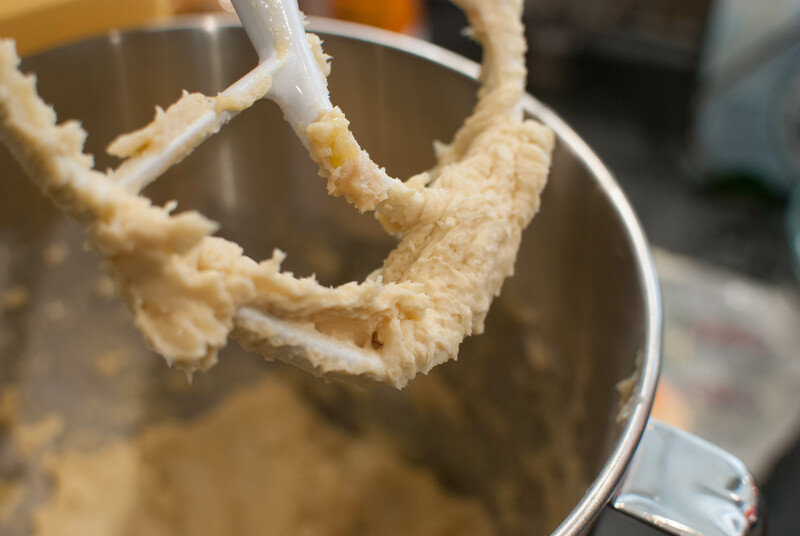 Meanwhile, preheat the oven to 350 F.
When you’re ready to bake off the cookies, roll the dough into balls by the scant tablespoonful and set them an inch apart on a parchment-lined baking sheet. Bake these guys for about 8-10 minutes, until the edges are just barely browned and the tops look set (not wet). Remember, you want them to stay soft and they’ll continue to set even after you pull them from the oven. 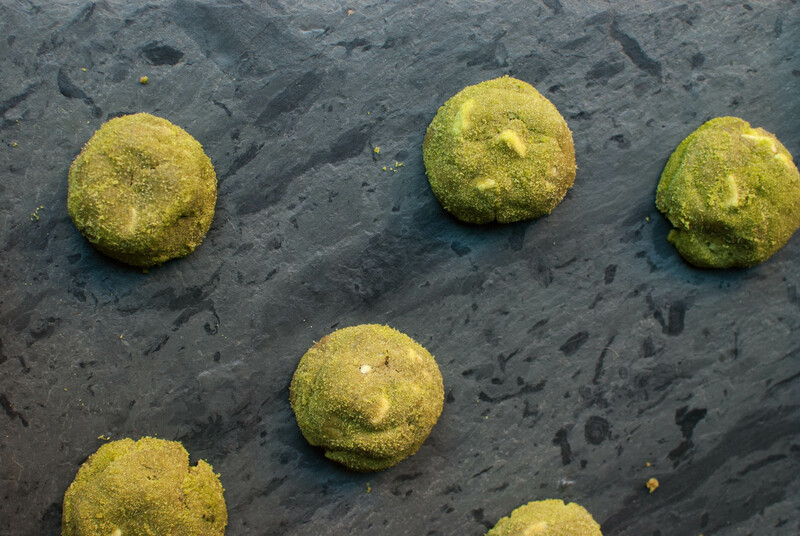 Now, as soon as you take them out of the oven, carefully roll each cookie in a mixture of matcha and sugar. Like cinnamon sugar except, well, not! Set them on a wire rack to cool completely before digging in! Share these with friends or gobble them up yourself. If you’re feeling especially generous, you could bag them up for your Halloween party or give them out to a couple of lucky trick-or-treaters. Well, here they are! The perfect size for snacking, if you ask me. 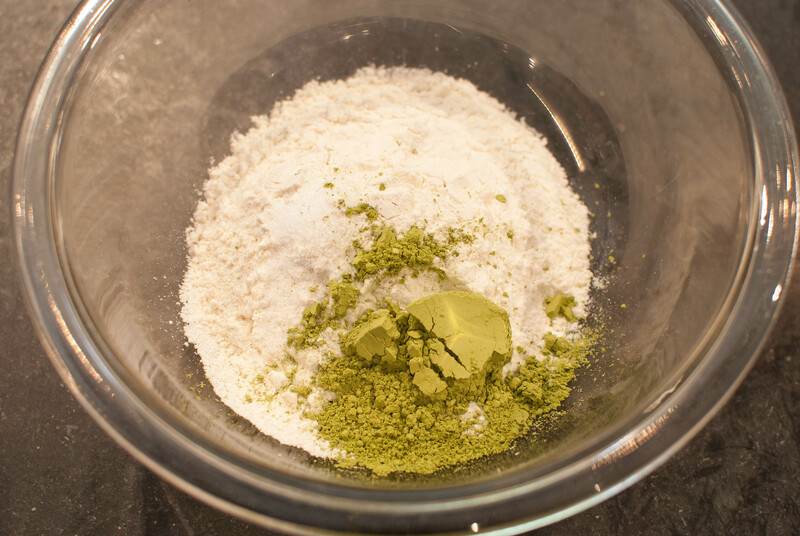 In a large bowl, combine the flour, baking soda, salt and 2 tablespoons matcha. 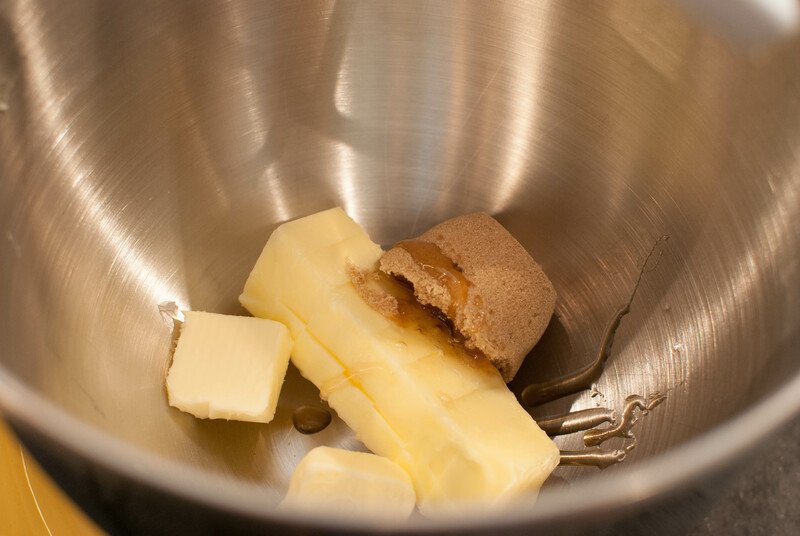 In the bowl of a stand mixer fitted with the paddle attachment, beat together the butter, brown sugar, and honey until light and fluffy. Add in the eggs and lemon zest and beat until very pale. 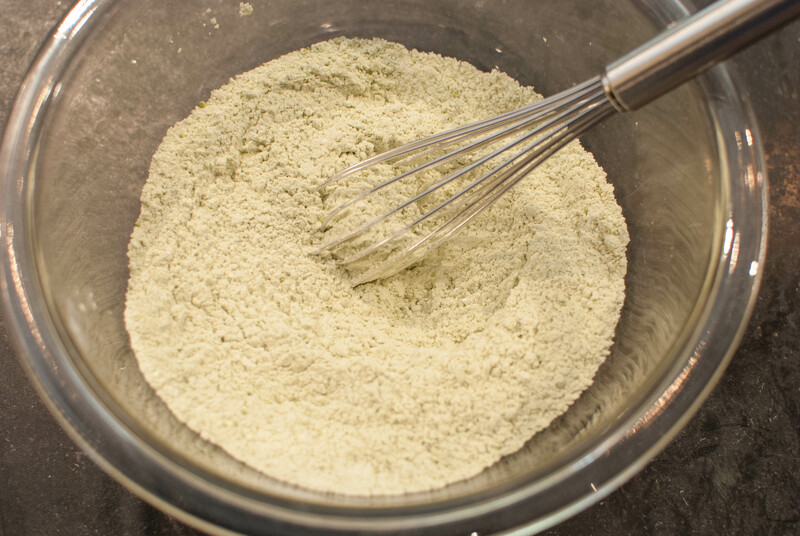 With the mixer on low, gradually add the dry ingredients into the wet, scraping down the bowl as needed. Use a wooden spoon to stir in the white chocolate. Wrap dough in plastic wrap and chill for at least 2 hours. When you’re ready to bake the cookies, roll the dough by the scant tablespoonful and set an inch apart on a parchment-lined baking sheet. Bake for about 8-10 minutes, until the edges are just barely browned and the tops look set (not wet). Remember, you want them to stay soft and they’ll continue to set even after you pull them from the oven. 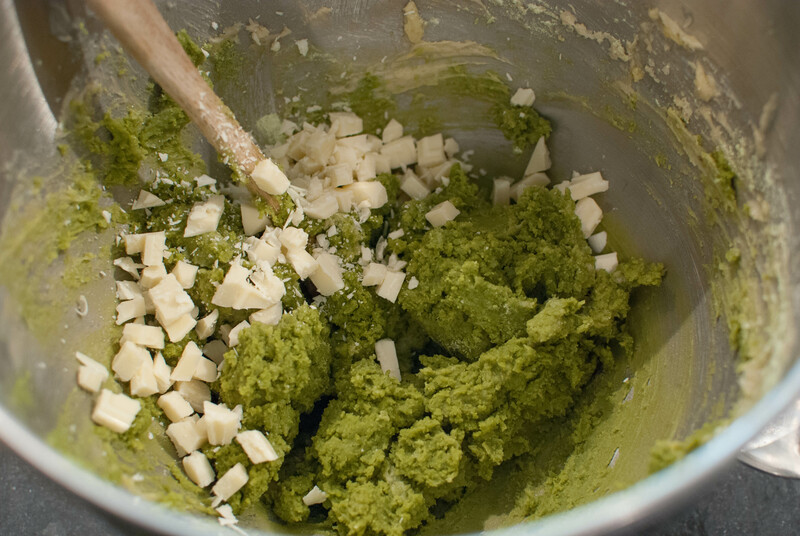 While the cookies bake, combine the white sugar and the rest of the matcha in a small bowl. Immediately after removing from the oven, toss each cookie carefully in the sugar mixture before placing on a wire rack to cool. Happy Halloween and happy nibbling!